Motorola is apparently looking to an Android powered phone with a touchscreen, a sliding keyboard and enhanced social-networking functionality to end its recent slump. At one point Moto had the most successful phone on the market with its now iconic Razr, but a series of bad decisions has left the manufacturer in the doldrums. The company is still seeking the market-leading phone that will put it back on top, and a report in Business Week suggests that it has plumped for the Google backed Android OS. 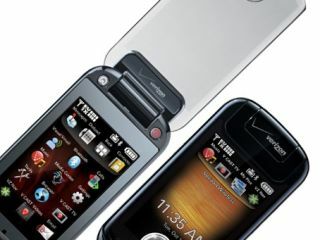 The phone is believed to comprise a now de-rigueur touchscreen, a sliding qwerty keyboard, and allow easy connection to the likes of Facebook and MySpace – with social networking seen as the key feature for the phone. A statement from the company said: "We're excited about the innovation possibilities on Android and look forward to delivering great products in partnership with Google and the community of developers known as the Open Handset Alliance that are working on the Android operating system." The first Android handset is due out soon from T-Mobile in the UK, with its G1 Android phone already receiving massive pre-orders globally.